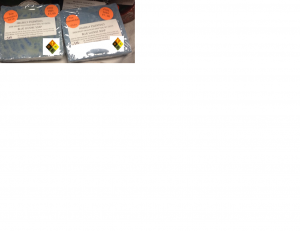 The Place to Shop for Greener Life Products (521 visits today so far) made with Pure GC/MS Tested Essential Oils, amazing Hemp Derived CBD Isolate and Concentrates (no THC) and hundreds of other ingredients from Essential Depot. 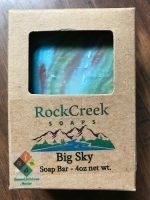 Short Product Description: Relaxing and refreshing is the only way to describe this soap, the essential oils blend of lavender and lemon will make you feel in great balance. Relaxing and refreshing is the only way to describe this soap, the essential oils blend of lavender and lemon will make you feel in great balance. Filled with a subtle fragance and a great combination of oils and butters packed in each soap. Creamy and bubbly leather just to pamper you! This beautiful designed soap has the perfect blend between sweet orange and cinnamon essential oils. A warm and spicy autum aroma wrapped in a luxurious combination of oils and butters, superior lather, great smell, beautiful unique design and it's just for you! Olive oil, coconut oil, sustainable palm oil, Shea butter, castor oil, water, sodium hydroxide, kaolin clay, micas, essential oils. *Pregnant women shouldn't use rosemary essential oil. Formulated for problem skin with activated charcoal and dead sea mud. Activated charcoal works to attract toxins, drawing impurities like dirt and oil from the pores. It is said to tighten pores, smooth skin and reduce inflammation. Activated charcoal is also said to soothe eczema, acne, and psoriasis. 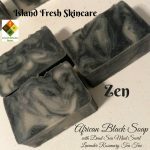 Black soap is an excellent facial and body soap. Cocoa butter dates back to ancient time. Used by African Queens to moisturize and protect the skin. It is a soothing emollient that is traditionally used to heal and moisturize skin that has been exposed to the elements. That means its great protection again winter winds and summer heat. And let's not forget the benefits it provide during pregnancy to help eliminate stretch marks. Short Product Description: Wonderful 4 Thieves oil, rich spicy blend of 5 essential oils: clove, cinnamon, lemon, rosemary and eucalyptus. You will be so happy you bought this soap! Our Essential Oil Soaps are fragrance free and scented only with therapeutic grade skin safe essential oils. 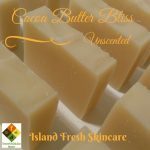 Our Signature Soap Blend is rich in Avocado Oil, Organic Unrefined Ghana Shea Butter, and Cocoa Butter, It produces a rich, thick, luxurious bubbly lather perfect for all your soap needs. We like to use our soaps for hand washing, body washing, shampoo, shaving soap, kitchen soap, and guest soap. It’s perfect for every room in your house. 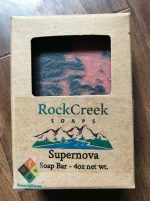 Short Product Description: Activated Charcoal/Rose Clay bar with a delicious scent blend in a Wild Currant Sandalwood scent. One of our favorites, especially for hair! 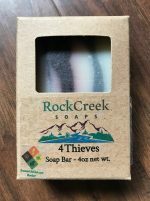 Our Signature Soap Blend is rich in Avocado Oil, Shea Butter, and Cocoa Butter, It produces a rich, thick, luxurious bubbly lather perfect for all your soap needs. We like to use our soaps for hand washing, body washing, shampoo, shaving soap, kitchen soap, and guest soap. It’s perfect for every room in your house. 4 ounces.